At the Center Grove District event, Cyber Blue won the district Chairman’s Award. This award is very exciting for the team since we have not won for four years. 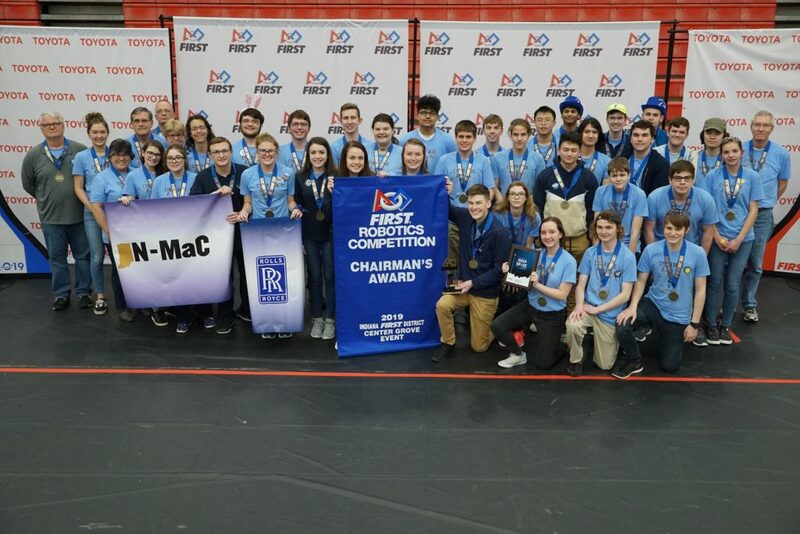 We are excited to present our Chairman’s presentation at the Indiana State Championship, with a win there qualifying us to win the Chairman’s Award at the world championships in Detroit. More information about the Center Grove district event can be found by clicking this link.